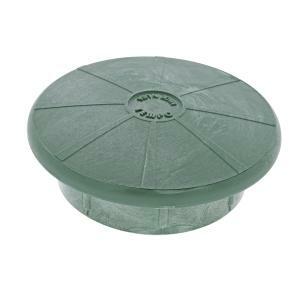 The Pop-Up Drainage Emitter is also known as a pop-up relief valve. This is a normally closed valve that will "pop-up" when there is a build up of water pressure in the drainage system, allowing water to escape. Once the pressure is relieved, a heavy duty stainless steel spring retracts and closes the valve top. Constructed from a structurally foamed High Density Polyethylene (HDPE) with a UV inhibitor for durability and long life. The flush design allows it to blend into the landscaped area. These are generally installed at the discharge end of your drainage pipe and can be installed either vertically or horizontally, fitting a wide variety of applications.